Discover Desert Horizons Country Club Homes for Sale Indian Wells! 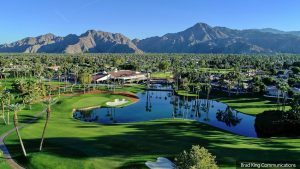 The exclusive golf and country club community of Desert Horizons is located in the heart of Southern California’s Desert Resort communities, in Indian Wells – recognized worldwide for its­ tranquil and luxurious resort environment. Desert Horizons homeowners enjoy a private, member-owned club featuring an array of resort-style amenities including a championship golf course, tennis, state-of-the-art fitness center, fine dining, and more – all in one outstanding community. Interested buyers will find an impressive selection of residential options in Desert Horizons from spacious, low-maintenance condominiums to finely-appointed, custom luxury homes. The community is situated just minutes from Indian Wells Tennis Gardens, premier shopping & dining on El Paseo, and the numerous cultural and recreational attractions of Palm Springs. If you would like more information about any of the above listings or would like to schedule a private showing, please call award-winning Indian Wells REALTOR® and luxury home specialist, Elaine Stewart today at 760-668-2399. Desert Horizons Country Club real estate options include single-family homes, luxury custom estate homes, and paired condominiums, featuring spacious open floor plans with 3-4 bedrooms, and numerous high-end design features and upgrades. Home prices start at $514,000 on up to 1,695,000+ for custom luxury estate homes situated the golf course boasting breathtaking mountain and fairway views. Recent HOA: $695 approx. (+ an extra $214 for Social Dues – subject to change). In order to gain access to this private, gated community, interested buyers will need to partner with a qualified, local agent. Elaine Stewart has years of experience assisting her clients with the acquisition and sale of real estate in Indian Wells. She is an expert at uncovering the right home in the right community that’s ideally suited to her clients’ wants and needs. Elaine would love to speak with you to discuss the type of home you have in mind and answer any questions you may have about Desert Horizons real estate in Indian Wells. Call today! Desert Horizons Country Club offers a vast array of events and activities for members including 18 holes of challenging golf for every level of player, weekly tennis and pickleball games, bocce ball, and a wellness center featuring state-of-the-art Cybex equipment and personal trainers to help you achieve your fitness goals. The 40,000 square feet clubhouse features a dining facility offering excellent cuisine in a serene environment. Social amenities at the club include a variety of themed events along with the Women’s Club, which offers several groups including mahjong, bridge, a book club, bike to lunch, and more. Designed by renowned golf architect Ted Robinson, The championship 18-hole golf course at Desert Horizons Country Club is both beautiful and challenging. The course features lush fairways surrounded by stunning mountain views and water features in every direction. There’s also a full driving range, putting green, chipping green, and bunker/short-pitch green where you can practice your skills along with a well-stocked pro-shop. Golf memberships are limited to only 250 members. Golf Membership: approx. $25,000 per year, with a first-year Preview Membership Program available. Golf monthly dues are approx. $1,145 – (Please note that membership costs and fees are subject to change). Desert Horizon residents enjoy convenient access to The Village at Indian Wells, an open-air shopping center with upscale boutiques, restaurants, art galleries, and personal services in a beautiful atmosphere. Also, not far from the community is the world famous El Paseo Shopping District, known as “the Rodeo Drive of the Desert.” El Paseo includes over 300 upscale stores, (Saks 5th Avenue), one-of-a-kind boutique, art galleries, fine jewelers, restaurants and eateries, day spas, salons, and much more. The Indian Wells Tennis Garden is located just minutes from Desert Horizons. The renowned Tennis Garden contains the second-largest tennis-specific stadium in the world and also hosts the fifth-largest tennis tournament in the world – the BNP Paribas Open, as well as other popular events. The closest hospitals/medical centers include Eisenhower Medical Center, John F. Kennedy Memorial Hospital, and Desert Regional Medical Center. The Palm Springs International Airport is about a 17-mile drive of Desert Horizons Country Club. With over 24 years of local real estate experience, top Indian Wells REALTOR®, Elaine Stewart, and her professional team offer the kind of knowledge, skills, dedication, and personalized service you need when buying or selling a home. By working with Elaine, you will be able to navigate the local market with confidence, knowing that you are making the best possible decisions on your investment. A highly-skilled, licensed, professional real estate agent, Elaine will be there to protect your interests, advocate for you, and will do whatever it takes to facilitate a smooth and successful transaction. Elaine is 100% committed to making the home buying or selling process as stress-free and rewarding as possible for you! Please give top Indian Wells REALTOR®, Elaine Stewart a call today at 760-668-2399, or fill out the online contact form, and she will be more than happy to answer any questions you may have.